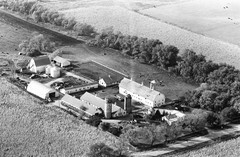 I grew up on this farm from 1938 to 1958. 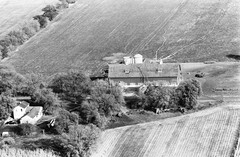 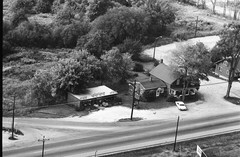 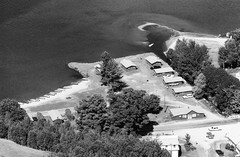 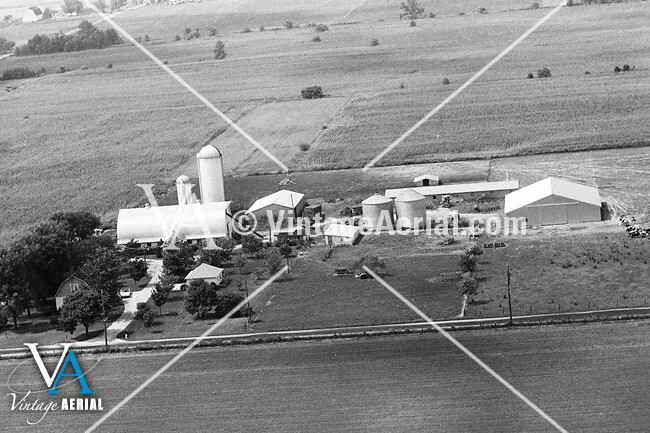 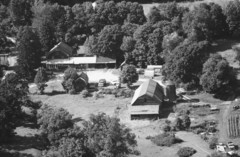 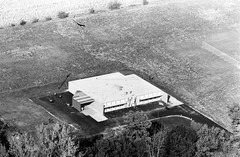 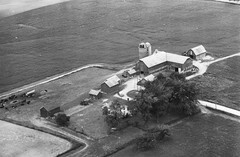 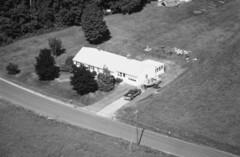 I have several photos of the barn being built plus aerial photos taken when I was a USAF pilot. 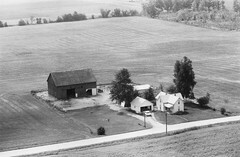 The small silo has been torn down recently and a second driveway added to the center of this photo. 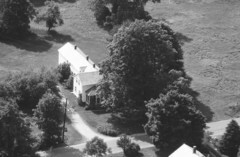 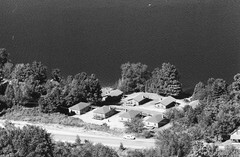 The original estate was only 80 acres, but is well over 200 now. 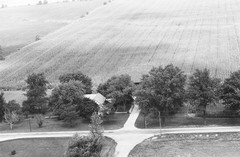 Of course my photography was taken from 100 feet and higher. 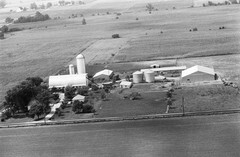 Not many farm boys made it to well over 70,000 feet in a U-2!